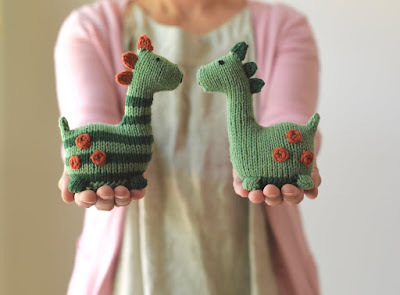 Little Dino Pattern + Kits! Last week I returned from nearly a week in Vermont and New Hampshire. I was teaching at the Wing and a Prayer Retreat, also known as the New England Fiber Arts Summit. It was a beautiful setting for the retreat actually taking place right on the farm. The food was delicious and locally sourced, there were classes by Cal Patch, Katrina Rodabaugh, Bristol Ivy, Thea Colman, and me. I loved it because I got to attend the classes which is really rare when you are a teacher at an event. Taproot Magazine was a sponsor and I stayed in a house on the property with Amanda Soule of Taproot and the Soule Mama blog. Anyway, it was a great experience and I would do it again in a heartbeat. If you ever get a chance to attend you should do it! Now for some business, I have a new pattern release this weekend! 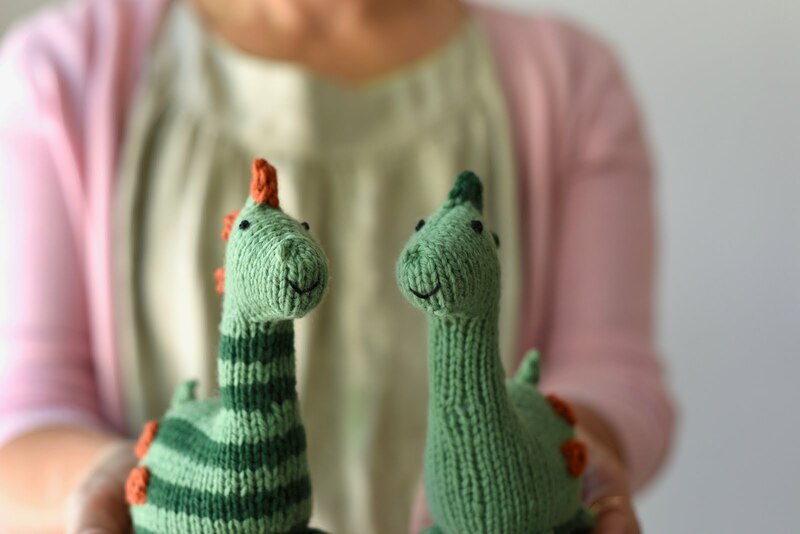 Little Dino is a brand new toy design and it is such a fun little knit. The toy is knit in Barrett Wool Co. Home Worsted Weight. The pattern is on a release discount for $3.50, no code needed. In a week the price will be set at $5.00. Click here for the Little Dino pattern and discount on Ravelry! We also have super cute kits available on Barrett Wool Co. in 3 different colorways, a pink theme, a blue theme and the green theme that you see in the photos. Click here for the Little Dino Kit on Barrett Wool Co.! I love the sweet expression and the nostrils formed by decreases. The back view is as cute as the front view! 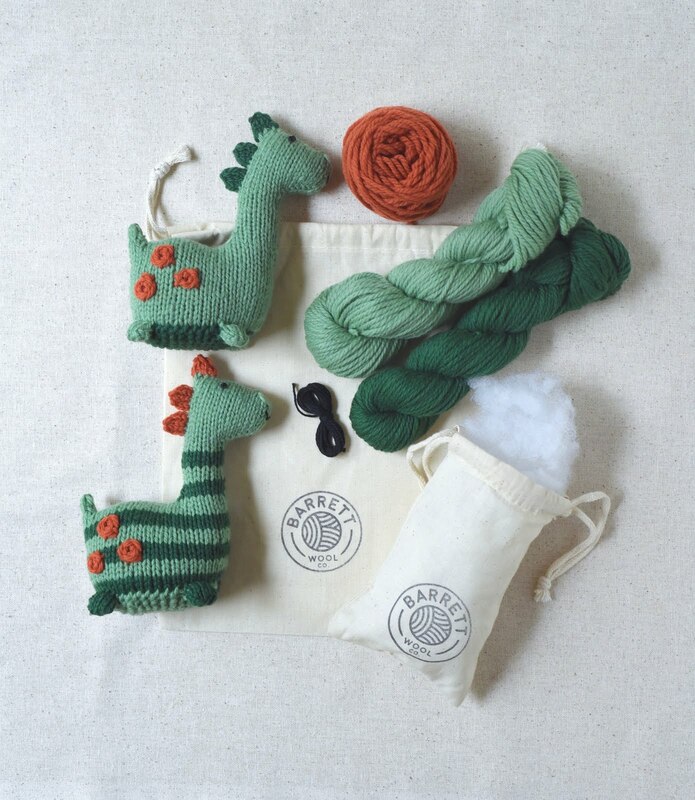 The kit includes everything you need to make ONE of the dinosaurs, either the striped or solid. 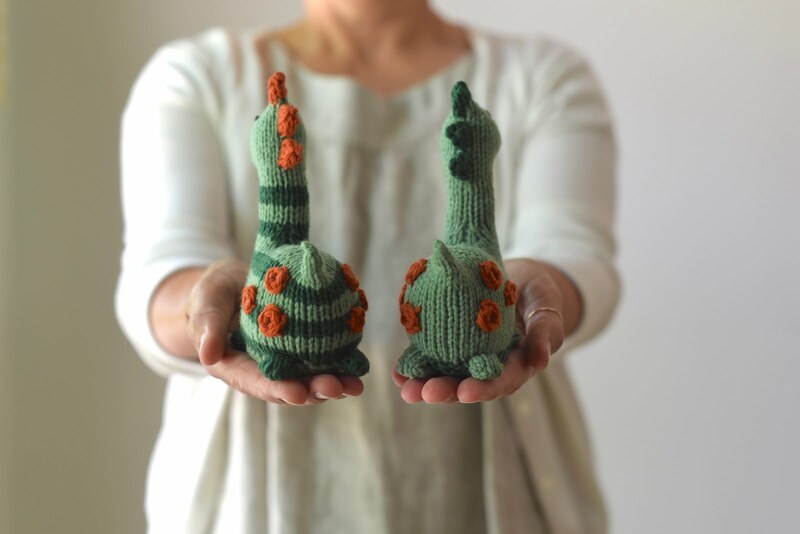 There is a yarn only option, too, if you want to knit more than one. It's a super affordable kit so hop on over if interested. Click here for the Little Dino Kit choices! Have a wonderful Sunday. I've woken up to rainfall and it's quite cool in temperature. I'm kind of enjoying this quiet Sunday morning while working on an old project, my Alabama Chanin reverse applique skirt. Do you think I'll ever finish this one? I hope so.